Get the full fall experience at Pumpkinville. 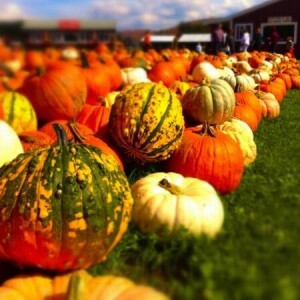 Whether you want to pick a pumpkin, watch apple cider being squeezed, or just relax and enjoy a 360 degree panorama of gorgeous fall foliage, Pumpkinville is the place to visit. 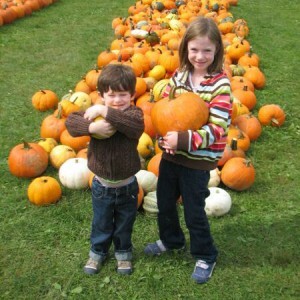 Your whole family will enjoy a day on the farm at Pumpkinville. Eat, shop, laugh while you make memories that will last a lifetime. 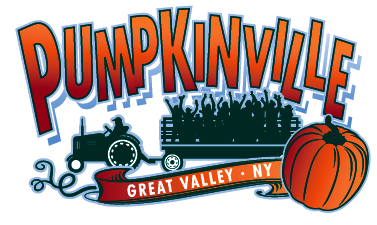 Young or old, Pumpkinville is an experience you don't want to miss! 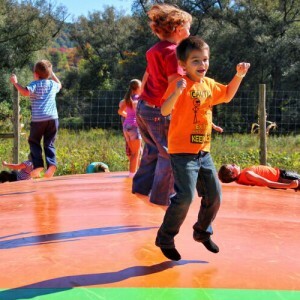 You'll feel like a kid again with never ending fun on the farm at Pumpkinville! Visit our farm animals, take a hayride, get lost in the corn maze, dance along with our singing chickens, ride on the Pumpkinville Express Train and plenty more! Please note: No dogs/pets are allowed on the farm.